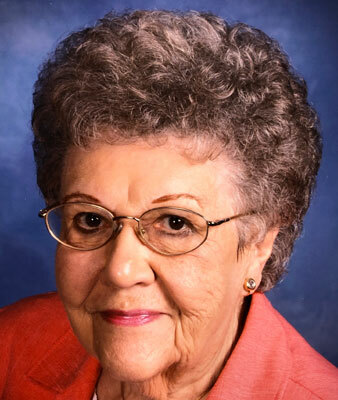 YOUNGSTOWN - Funeral services will be held at 11 a.m. on Friday at the Bethel Lutheran Church in Boardman, for Mrs. Delphine M. Vandervoort, 92, formerly of Austintown, who died peacefully Saturday afternoon at her residence. Delphine was born Nov. 11, 1926, in Youngstown, a daughter of Arthur and Augusta (Fris) Alm. She had worked at G.F. Furniture Systems in the Payroll Dept. for 41 years retiring September of 1987 and than worked at Higgins-Reardon Funeral Homes. Delphine was a member of the church, Y.A.F.W.C., and former member of the Eastern Star. She married Lloyd Vandervoort on June 29, 1957, and he died May 8, 2008. Delphine and Lloyd loved to travel the U.S. and Europe, especially to Sweden. She leaves her two nieces, Alana Anderson and Jennifer Martin; her nephew, Darrell Alm; and her Higgins-Reardon family. Friends may call on Friday from 10 to 10:45 a.m. at the church.